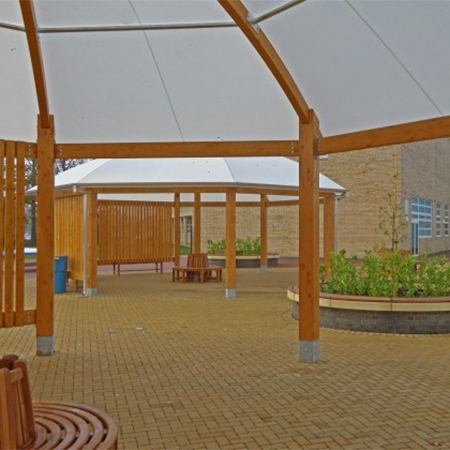 Fordingbridge has provided three structural timber canopies with Opal 60 roofs and mill finished aluminium gutters and downpipes for the Ofsted outstanding rated Arthur Mellows Village College. 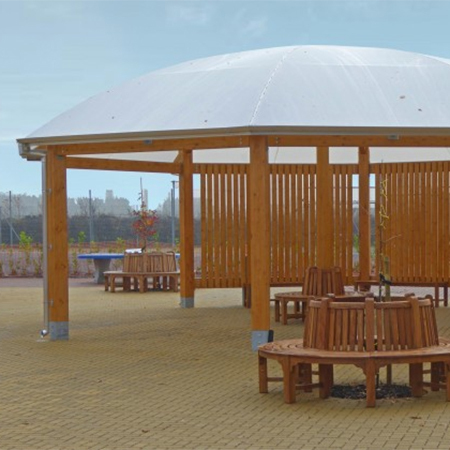 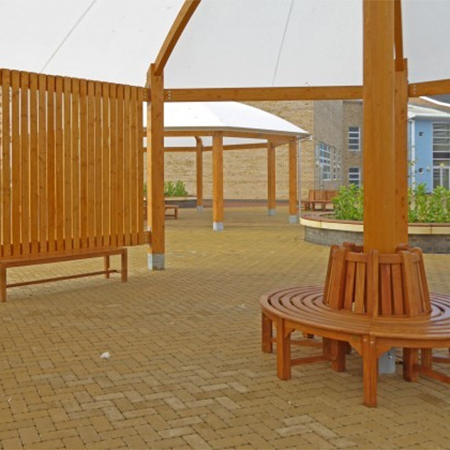 The school wanted to create an inspiring, all-weather social and breakout space to be used for teaching as well as during break time by staff and pupils. 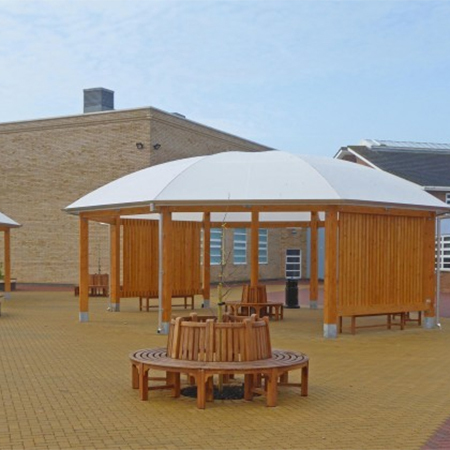 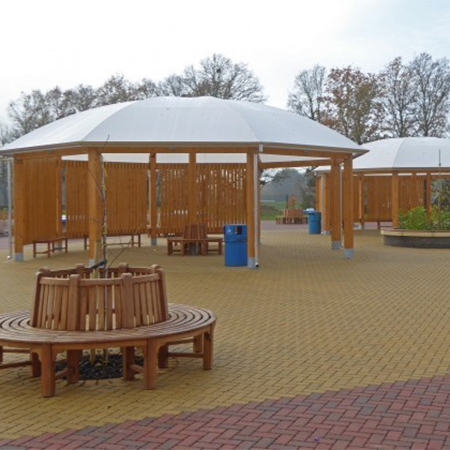 The perfect solution was the timber canopies from Fordingbridge. 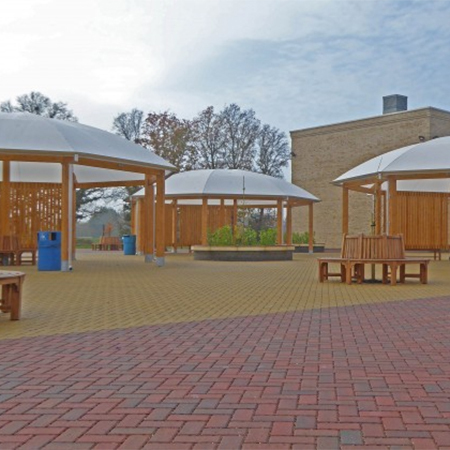 he Opal roof fabric is 100% waterproof, allows 60% light transmission and protects users from harmful UV rays. 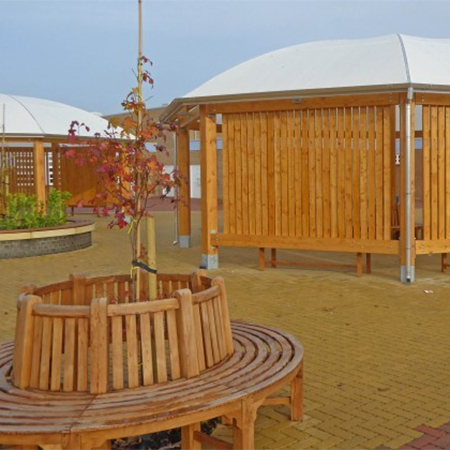 Attractive vertical timber cladding semi-encloses the structures, providing additional weather protection.